The 2016 Holiday Lighted Boat Parade is scheduled to take place at 6PM on Saturday, December 17th. 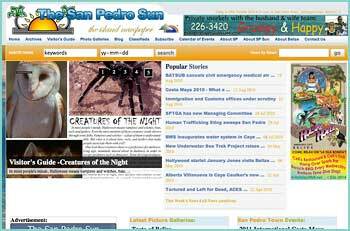 The traditional event ushers in the holiday season, and brightens the coast of San Pedro with twinkling lights, happy people and Christmas carols galore. Adding to the spirit of the event, all proceeds from the event will benefit ‘Raise Me Up’, a charitable organization on the island which is also organizing the boat parade committee this year. This year’s event promises to bring an evening filled with spectacular lights, food, cash prizes and giveaways. Boats will line up at Wayo’s Beach Bar and then proceed southwards to Crazy Canuck’s Beach Bar. There will be official viewing stations along the way where observers can watch the parade. The viewing stations will also have a special show courtesy of a brand new Fly boarding Company, which uses water jet packs to fly around out of the water. This amazing spectacle will only be available at viewing stations which include Wayo’s Beach Bar, Sandbar, Palapa Bar, Nook Restaurant, Estel’s, Wild Mangos, Blue Water Grill and Crazy Canuck’s. Upon arriving at Crazy Canuck’s, the boats will make their way back to Sandbar, where the awards ceremony will take place, and winners will receive cash and other prizes awarded. There will also be 50/50 raffles, silent auctions, music and much to eat and drink. Tickets for the 50/50 raffle will be sold at all viewing stations, with the winning raffle ticket to be drawn at Sandbar at the end of the parade. The winner will take home 50% of the overall pot, while the other 50% will go to Raise Me Up. Judges will be stationed at Wet Willy’s dock, observing and selecting their favourites. In addition, for a fee of $150BZ, you can get a VIP front row seat in a boat that will follow the parade. This fee will include food and drinks. Fees collected from those wanting to ride along will also benefit Raise Me Up. Seats are limited, so interested persons are urged to make reservations ahead of time at the above official viewing stations. 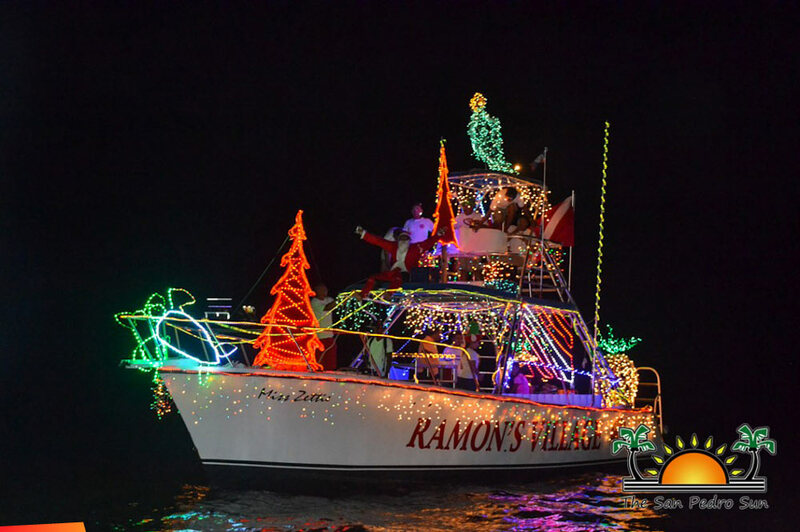 There is no registration fee to enter the parade, and according to organizers, in many cases, they provide an allowance to purchase lights and decorations for the boats. Organizers have announced that this year, they are anticipating giving away more cash prizes than any other boat parade in history. They would to thank everyone who has extended their assistance so far to make this event possible once again. The 2016 goal this year is to have as many boats as possible in the parade, so everyone is encouraged to participate.